You want to use your SAP HANA skills developing innovative technologies for a fast growing segment within Deloitte Tax. You want to be on the cutting edge of a rapidly growing industry and work with a team of proven innovators. Conceptualize, design and implement new SAP Hana applications, working with business analysts/clients to understand business problems being addressed by the project including estimating the time and effort to completion. Migrate existing applications on to SAP Hana, working with business analysis/clients to understand the application and objectives for the Hana migration including estimating the time and effort to completion. identify and promote best practices and patterns for data modeling, and provide oversight for activities related to data cleansing, data quality and data consolidation. Support data quality components during the implementation of the solution architecture. Provide support for existing systems. Work independently and within a team of developers to deliver results. Work with peers to carry out code reviews and unit testing of new development, and create unit test plans and scenarios for development unit testing. Document new developments, procedures, or test plans as needed. Interact with other development teams to ensure a consistent, uniform approach to software development. Deploy all integration artifacts to testing and production environments. NFTS is a national practice within Deloitte Tax LLP made up of a number of tax service offerings. Each NFTS service offering was developed and built as a result of a tax planning idea, a marketplace need, or a technological innovation—all with the purpose of delivering results for our clients. 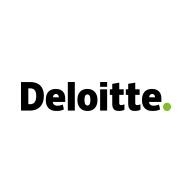 The PSG is a service line of NFTS and one of the fastest-growing practice groups in all of Deloitte Tax. PSG professionals counsel privately-held and publicly-traded partnerships across the United States on a wide-range of federal tax issues involving mergers, acquisitions, divestitures, initial public offerings, post-offering compliance, and process design and improvement. Experience implementing SAP HANA Analytics, plus SAP S/4 HANA, plus HANA Enterprise, Advanced Analytics, plus BOBJ.